"I love to see Atlas have fun. He deserves it after working so hard." Ever since this sweet dog named Atlas entered Julian Gavino's life, things have never been better. 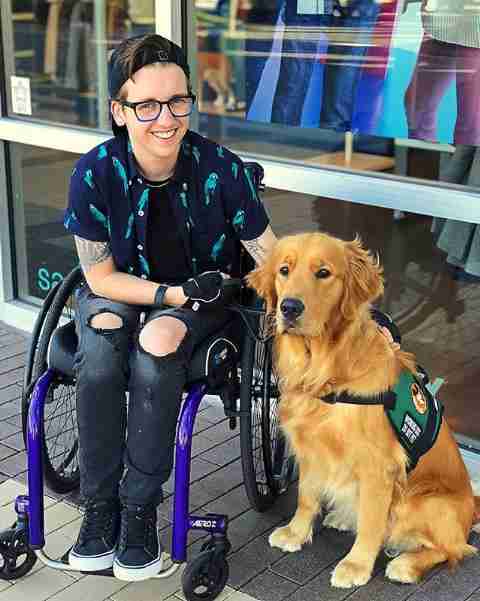 Gavino, who uses a wheelchair, has come to rely on Atlas' training as a service animal to help make performing everyday tasks a little easier. But Atlas, of course, is also a faithful and loving friend. Atlas' other love? 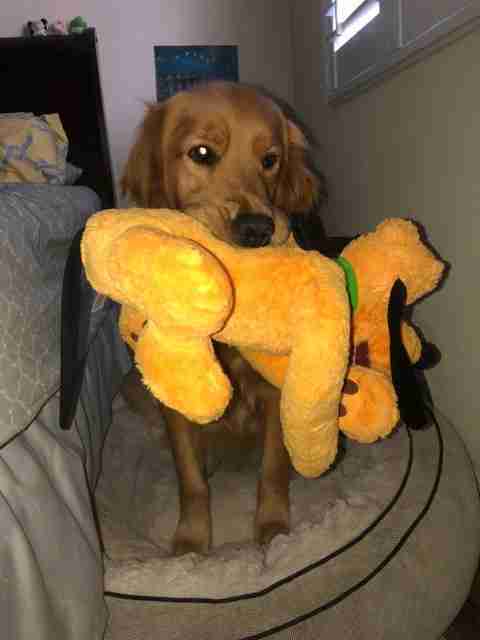 This stuffed Pluto doll which he snuggles with every night. "It’s his favorite toy," Gavino told The Dodo. 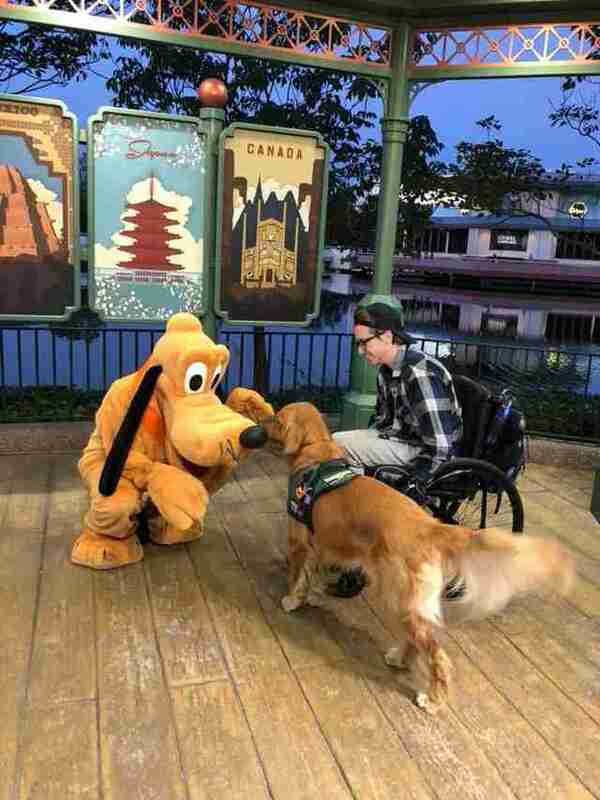 Recently, Gavino thought it would be nice to reward Atlas' exceptional service by giving him the surprise of a lifetime — arranging a visit with a living version of his Pluto toy. 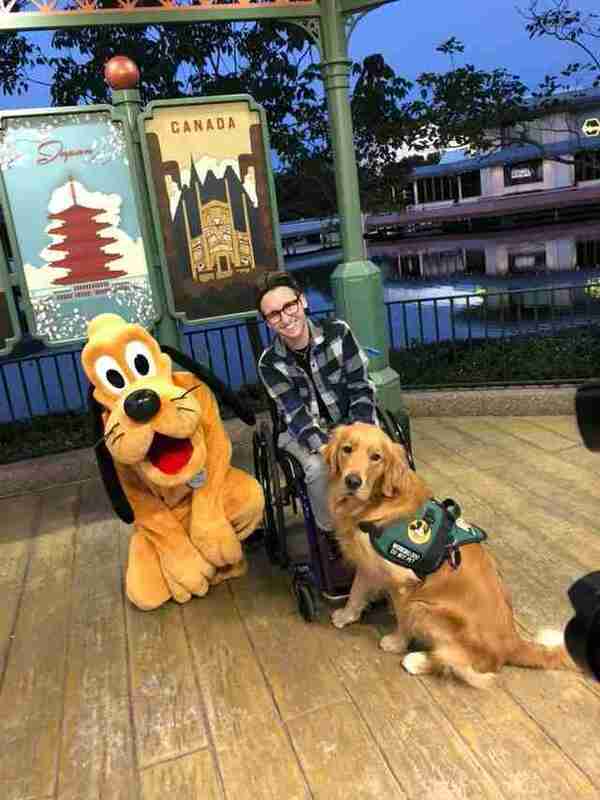 So, over the weekend, they headed to where the real-life Pluto lives, at Disney World, in Florida. Atlas couldn't have been more excited to meet his hero. It was a special moment for Gavino, too — being able to give joy to the dog who's added so much to his life. "I love to see Atlas have fun," Gavino said. "He deserves it after working so hard. Some days he works really long hours so he needs that type of downtime. It’s so important." Meeting Pluto will likely be a gift Atlas will never forget. But it's nothing compared to the gifts he gives to Gavino every single day. "He’s given me back my independence," Gavino said. "He gets my clothes in the morning, helps me get dressed/undressed, opens/closes drawers, opens/closes doors, pulls my wheelchair, wakes me up if I pass out, and retrieves items for me." In other words, Atlas' service is priceless. "He’s amazing," Gavino said. 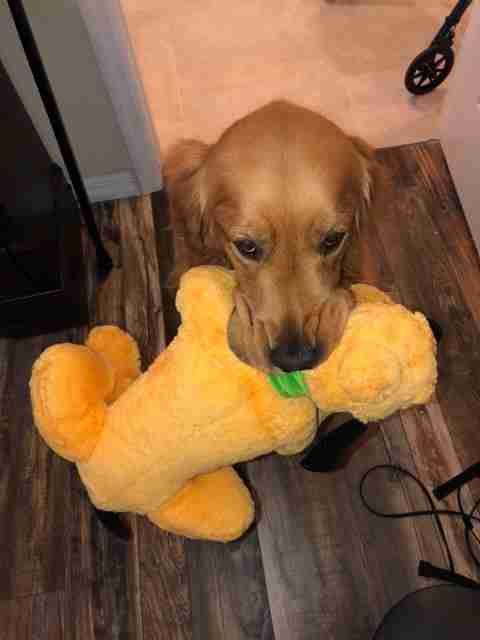 "He’s also a forever companion! So I’m never alone through anything." You can keep up with Gavino and Atlas by following them on Instagram.